Proview PDF Editor 1.5 Upgrade – What’s New? Proview 1.5 adds significant new features, whilst improving interactivity; functionality which required dialog boxes is now live and interactive. Text is now added interactively – you can drag the position, and the text updates automatically. New positioning and styling options have been added too. More screenshots and an introductory video can be found on the upgrade page. 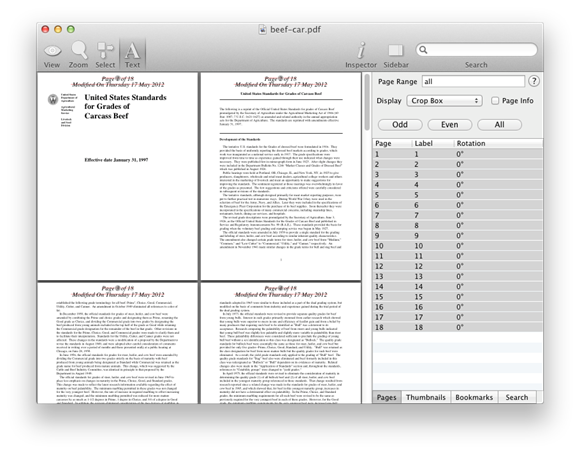 The text inspector is used to add text to one or more pages interactively. Dozens of special codes allow dates, times and page numbers to be added automatically. New diagonal text option, and left, right and center justifications for multi-line text have been added. 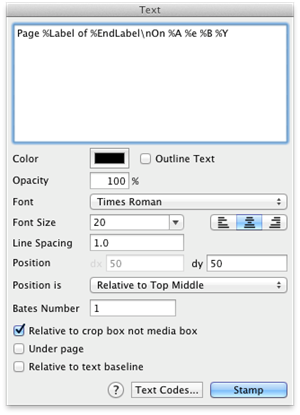 The position of the text may now be set by dragging the text directly in the main document window. Unicode text is now supported for accented and special characters. Proview 1.5 is available now.